Do you have your very own man cave? Or do you know of someone who does? If you are looking for the perfect man cave gadget to reward yourself or if you are looking for a nice gift for a man cave owner, we can help. You don’t have to have a huge budget either. Our list of top 10 gadgets for your man cave caters to all budgets, both big and small. The size of your man cave also does not matter. It can be your entire basement or just a tiny closet. Our list has something for you as well. A man cave will not be complete without a TV. While you can just plonk your TV on a cabinet or mount it on a wall, it is not half as cool of having it stored inside a concealed stand that coolly elevates out of it with a touch of a remote button. 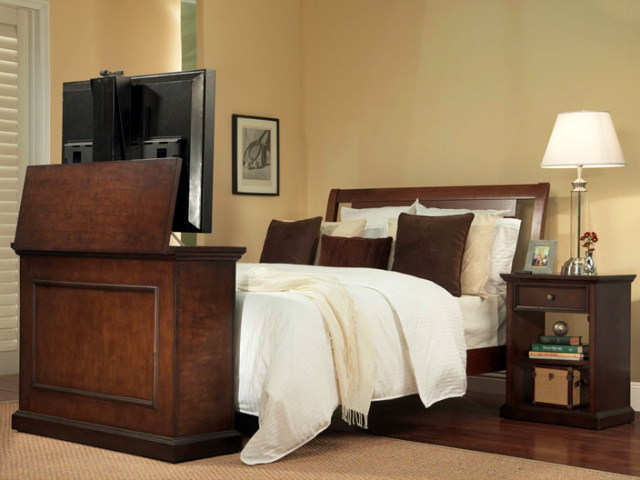 The Elevate 47 Inch TV Stand stores TVs up to 42″ wide (larger models are available) and has an option to store your cable box, gaming console, BD player or other devices as well. 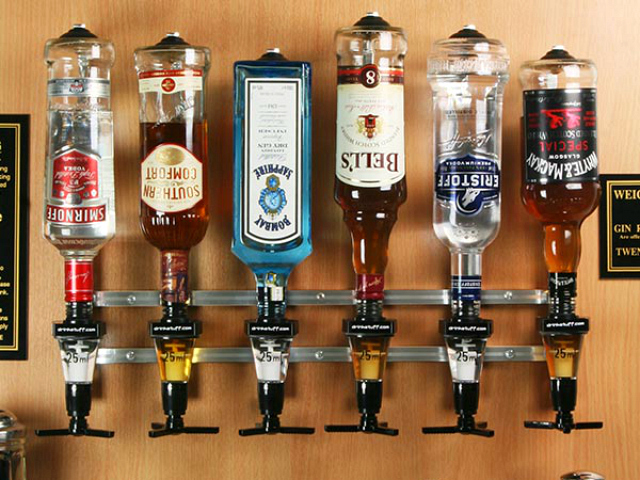 No man cave bar is complete without its very own wall mounted liquor dispenser. Dispense up to 6 different types of drinks with just a push of a valve with the Rack and Pour Liquor Dispenser. Dispense shots quickly and accurately without the need of a shot glass. You know you want this. Need a little help with mixing the perfect cocktail? Watching Tom Cruise on Cocktail over and over again may help with the theatrics although we highly doubt it will help with getting the recipes right. What you need is the Perfect Drink Smart Bartending. 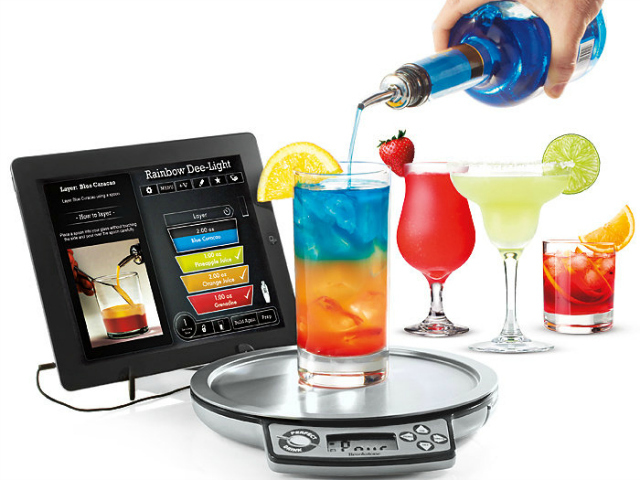 This cocktail set comes with a smart weighing scale, a shaker and an app that contains over 300 of the most popular drink recipes. Follow the step-by-step instructions and create the perfect cocktails. If there is one item that will instantly become the centerpiece or the highlight of a man cave, the Marshall Fridge is it. 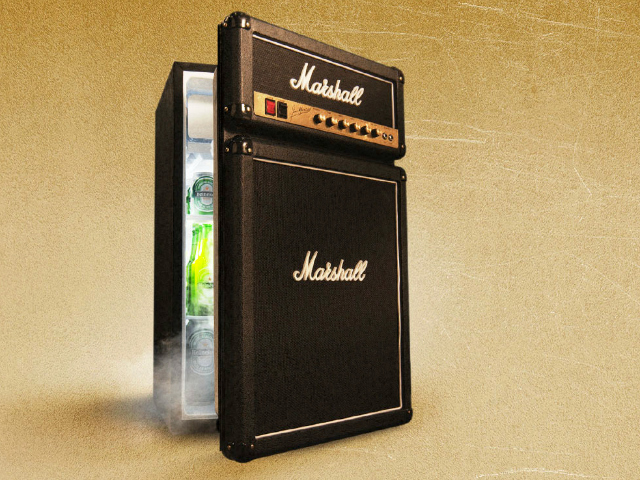 This Rock & Chill fridge is designed after the iconic Marshall amp and includes the authentic logos, infamous woven fret cloth and a brass face plate with Jim Marshall’s iconic signature. Yes, the knobs on the front do go all the way to 11. If you want a man cave that will be the envy of everyone that ever visits it, all you have to do is to have your very own spa or hot tub right in your man cave. 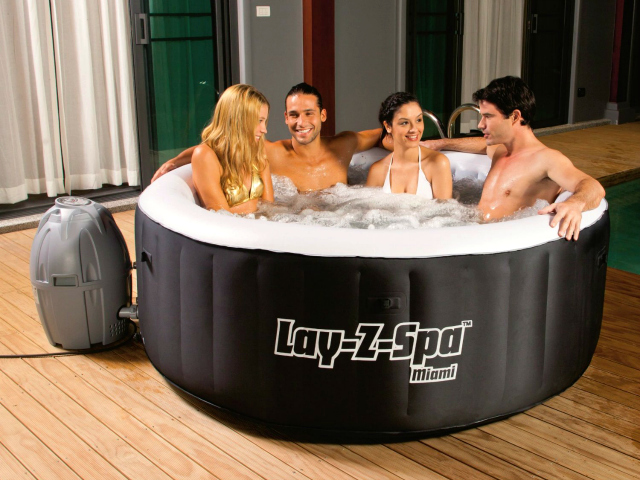 The Bestway Lay Z Spa Miami is an inflatable hot tub that comfortably fits 4 adults. It has all the features of a normal spa but costs a fraction. Can be deflated and stored when not in use to save space. A man’s man cave is his sanctuary and fortress of solitude. Therefore, you will want to ensure that unauthorized people are kept out of your man cave. 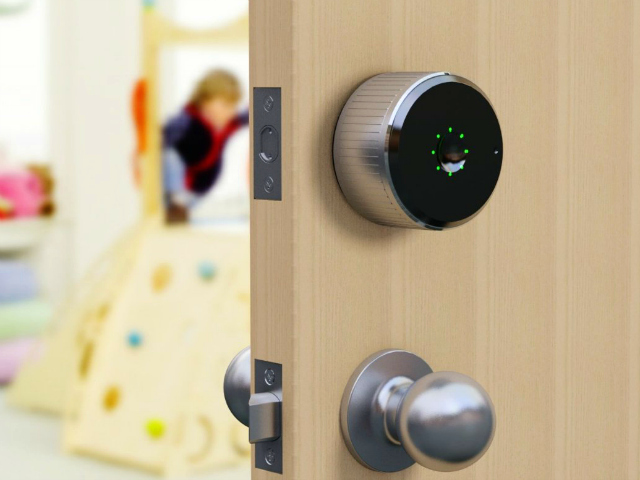 What better way to secure your man cave than to install the Danalock, a smart lock that requires no key, just your smartphone. Installs in just minutes with just a screwdriver. 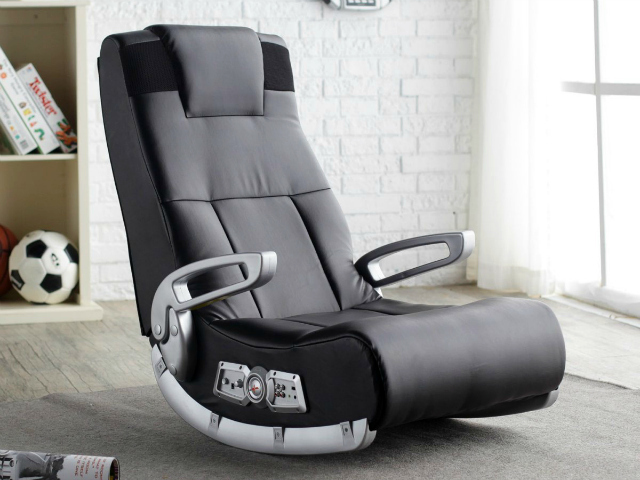 If your man cave is also your gaming den, the perfect add-on for it is the X Rocker II Wireless Video Game Chair. This amazing gaming chair lets you feel every explosion on screen. It is wireless so you don’t have to worry about messy wiring all over the floor. Works with all gaming consoles. If you want a simple and budget friendly home theater system, consider getting the Asus Chromebox Chrome OS Desktop PC. It is a small compact PC that runs on Chrome OS and connects to your TV. 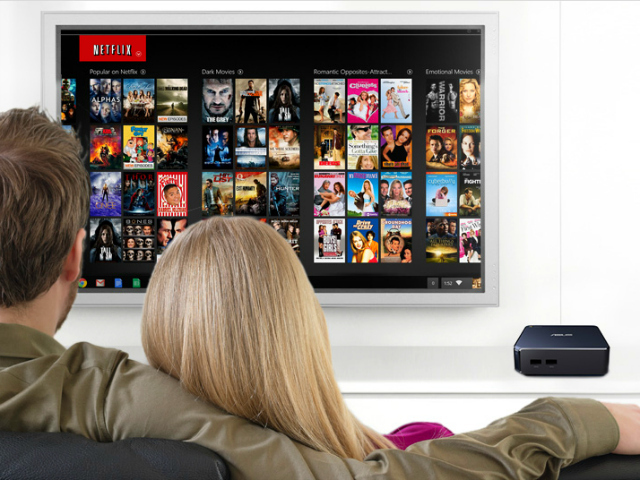 It is perfect for viewing your video collection or for streaming online videos from Netflix, Hulu and YouTube. Works great with Spotify, Pandora and other online music services. While the Marshall Fridge is a great addition to any man cave, we have to admit it is a little lacking in the storage space compartment. To create more space to store your beer stash, we recommend using BottleLoft magnets. 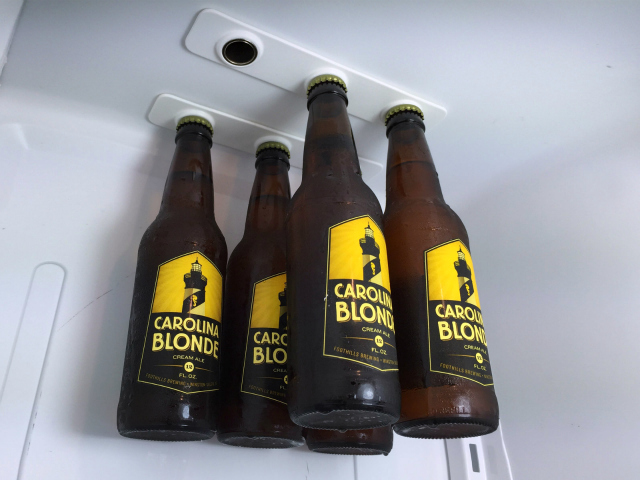 These cool magnets let you hang your beer from above thus creating more shelf space. Now your fridge is now cool inside and outside both literally and figuratively. Beer is of course the beverage of choice in any man cave. But why limit you and your fellow man cave dwellers to just plain old canned beer? 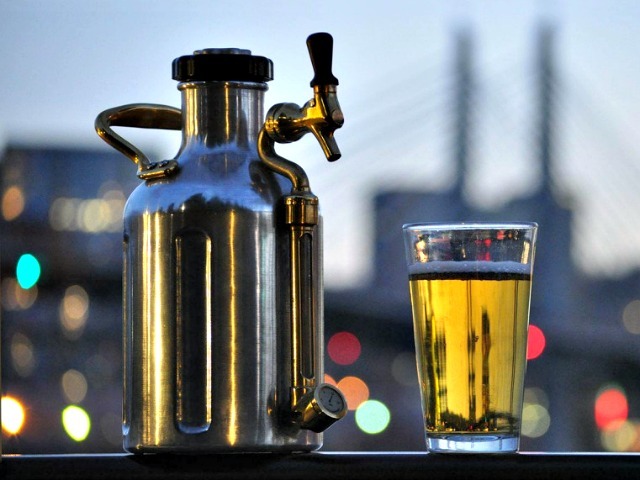 With the uKeg, you can serve fresh and cold craft beer from your favorite brewery. It is like having your very own private brewery right in your man cave.